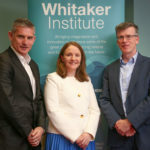 Dr Colette Kelly is Director of the Health Promotion Research Centre, NUI Galway. She is also a lecturer in Health Promotion and served as the Director of the BA Social Care programme for seven years. Colette is the current Vice Dean for Graduate Studies in the College Medicine, Nursing and Health Sciences. She joined NUI Galway in 2005 having worked in nutrition research and practice in the UK and Ireland. Dr Kelly is a registered Public Health Nutritionist and her research interests include child and adolescent health, food and nutrition, food environments, vulnerable groups and participatory methodologies. Professional Activities: · Registered Public Health Nutritionist (RPHNutr.) · Member of the Nutrition Society · Member of Association for Study of Obesity Ireland, Member of the Children's Research Network. (2015) Making our voices heard: young peoples views. (2015) The Irish Health Behaviour in School-aged Children (HBSC) study 2014. (2014) Participation of young people in a national research project: identifying new priorities for the Health Behaviour in School-aged Children study 2014. (2012) HBSC 2010 Middle Childhood Study: Socio-demographic patterns in the health behaviours, risk behaviours, health outcomes and social contexts of young people's lives. (2012) HBSC 2010 Full Variable Report: Health Behaviour in School-aged Children (HBSC) Ireland study 2010: Socio-demographic patterns in the health behaviours, risk behaviours, health outcomes and social contexts of young people's lives. (2011) Cross-national case studies of childrens data systems. (2011) Documenting Health Promotion in Irish Youth Work: current status and recommendations. (2011) Bibliography of Health Promotion in Irish Youth Work. (2011) Key issues for conisderation in the development of a Data Strategy for Children in Ireland: a review of the literature. (2009) Substance Use in New Communities: A Way Forward. (2008) HBSC 2006 Full Variable Report: Health Behaviour in School-aged Children (HBSC) Ireland study 2006: Socio-demographic patterns in the health behaviours, risk behaviours, health outcomes and social contexts of young peoples lives. Dublin: Department of Health and Children. (2007) Marketing of Foodstuffs in Post-Primary Schools in Ireland. (2001) Phyto-oestrogens - sources and effects. (2007) From science to policy-experience of the Breastfeeding in Ireland strategic action plan. (2001) Management of vitamin and mineral deficiency; questions posed by GPs. (2015) What children do when they witness bullying?. (2015) Piloting questions developed by post-primary school children for inclusion in the 2014 Health Behaviour in School-aged Children study. (2012) Health Behaviour in School-aged Children (HBSC) Study - What do children want to know?. (2012) Exploring the lives of children in care in Ireland. (2012) Irish youth health bibliography. (2008) Family structure and childrens eating patterns: secondary analysis of the Health Behaviours in School-aged Children (HBSC) study 2002. (2009) Marketing of foodstuffs in post-primary schools in Ireland.. 13th Annual HPRC conference: Closing the Gap in Child and Adolescent Health: the Settings Approach. (2008) Time effects in food frequency consumption and eating behaviour among Irish schoolchildren. Health Promotion Summer Conference. (2007) An investigation of the extent of commercial sponsorship in post-primary schools in the Republic of Ireland.. 22nd IUHPE World Conference on Health Promotion and Health Education Health Promotion Comes of Age: Research, Policy & Practice for the 21st Century. (2007) An Investigation of the Extent of Commercial Sponsorship in Post-Primary Schools in the Republic of Ireland. 19th IUHPE World Conference on Health Promotion and Health Education. (2006) Time effects in food frequency consumption and eating behaviour among Irish schoolchildren. UK Nutrition Society Summer Meeting: Interactions between Genetics, Diet, Health and Disease. (2006) From science to policy: Experience of the Breastfeeding in Ireland Strategic Action Plan. Proceedings of the Nutrition Society. (2015) Should we screen for childhood obesity?. (2010) Healthy eating and physical activity among Irish children. HEAL (Healthy Eating and Active Living) launch. (2010) The role of social support in explaining dietary patterns among Irish children and adolescents. (2004) Antioxidant nutrients - current thinking. Practice Nursing. (2002) Diet and coronary heart disease - getting the messages across. Nutrition in Practice. (2002) Check-up on cholesterol. NHS Journal of Healthcare Professionals. (2001) Aspects of nutrition for older people in institutional care. Nursing and Residential Care. (2001) Combating cancer with phytoestrogens. Flair-Flow 4 one-page summary of EU funded research for Health Professionals. (2013) Sexual behaviour of 15-17 year olds in the Mid-west region and in care. Short report for the Red Ribbon project. Health Promotion Research Centre, NUI Galway. (2006) Marketing of Foodstuffs in Post-Primary Schools in Ireland. Irish Heart Foundation & NUI Galway. (2004) A critical review of the psychosocial basis of food choice and identification of tools to effect positive food choice. Food Standards Agency, UK. (2004) Olive oil and haemostasis (Monograph). Grasas y Aceites: International Journal of Fats and Oils. (2003) Diet and cardiovascular disease. Flair-Flow 4 synthesis report for Health Professionals. (2001) Conference report on Mood and Food. Nutrition Bulletin. (2001) Dietary fat and cardiovascular disease. Flair-Flow 4 synthesis report for Health Professionals. (2015) School characteristics, policy and context in Ireland: HBSC Ireland Post-Primary schools. (2015) Research protocol for the 2014 HBSC Ireland study. (2015) Involving children in the research process: experiences from the Health Promotion Research Centre, NUI Galway. (2013) HBSC Ireland 2010: School experiences among children in care. (2013) HBSC Ireland: Preliminary analysis of the HBSC School level questionnaire. (2009) Health and related behaviour of children in DEIS schools. (2008) Key issues for consideration in the development of a Data Strategy for Children in Ireland: a review of the literature. (2008) Cross-national case studies of childrens data systems. (2007) HBSC Ireland: bullying and disability among Irish schoolchildren. (2019) Seeking young peoples persepctives on SDG's.